From bangles to link bracelets, tennis bracelets to beaded bracelets, there is a style of bracelet for everyone in all types of materials. Bracelet styles are quite varied. 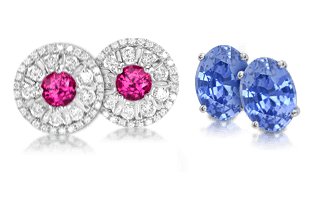 While they are usually 7-9 inches (18-23 cm) long, design possibilities are virtually endless and can feature all types of precious metal and gemstone combinations. 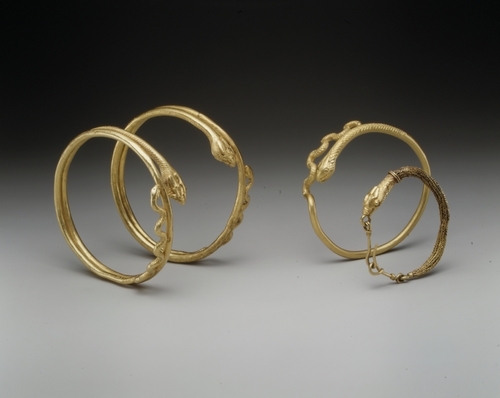 A pair of gold cuff bracelets. Photo from Objects and Elements. In terms of structure, the simplest bracelets are the cuff and the bangle. Bangles are circular or oval in shape and they are often worn in stacked groups. In its most basic form, a bangle is a metal hoop just wide enough for the hand to slip through. 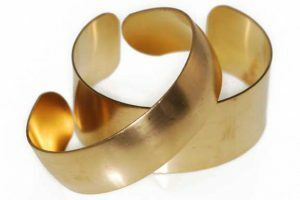 In order to fit over the hand, bangles must be larger in diameter than the wrist, which allows them to move when worn. The motion of a bangle on the wrist can highlight the brilliance of faceted gems, but it can also interfere with daily activities, including writing and eating. To allow for a closer fit, many bangles are hinged so that they can fit over the hand in the open position, yet remain relatively still on the wrist when closed. The cuff bracelet is a variation of the bangle. Cuffs are c-shaped bands that fit close to the arm or wrist. They usually slip on over the hand, although they may also have a clasp closure. Cuffs and bangles are among the oldest bracelets known. Examples have been found in Egyptian tombs, and both types were worn in ancient Greece and Rome. 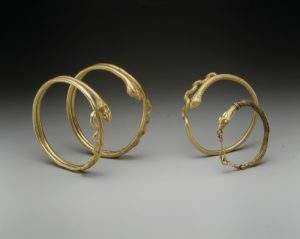 Cuffs and bangles were also worn in ancient Africa, China, and India, where they remain highly fashionable today. A yellow and white diamond link bracelet. Link bracelets are made from connecting various jewelry components together. 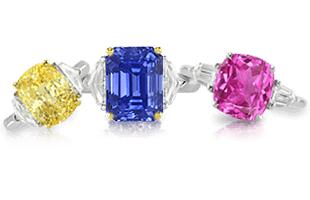 Link bracelets set with colored stones were a specialty of French jewelers during the 1920s and 1930s. 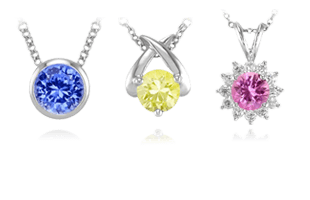 The links themselves can vary greatly in design: circular or angular, flat or big, multi-links or in a woven pattern. 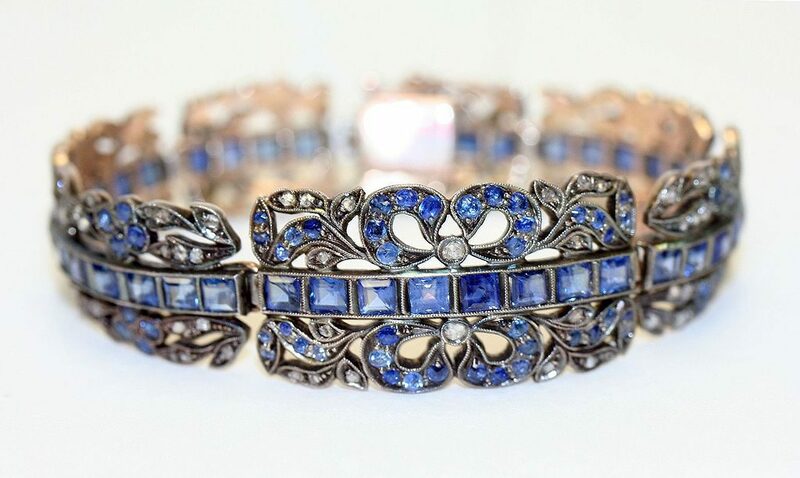 The link bracelet is often considered a hallmark of the Art Deco period in the late 1920s and early 1930s. 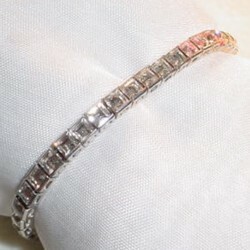 A vintage diamond tennis bracelet. 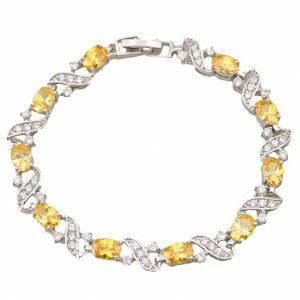 Thin in-line bracelets set with gemstones are now commonly called “tennis bracelets.” These bracelets derived this moniker and became immensely popular after tennis star Chris Evert broke her diamond studded in-line bracelet during a U.S. Open match in 1987. The match was interrupted to allow Ms. Evert to retrieve her diamonds. 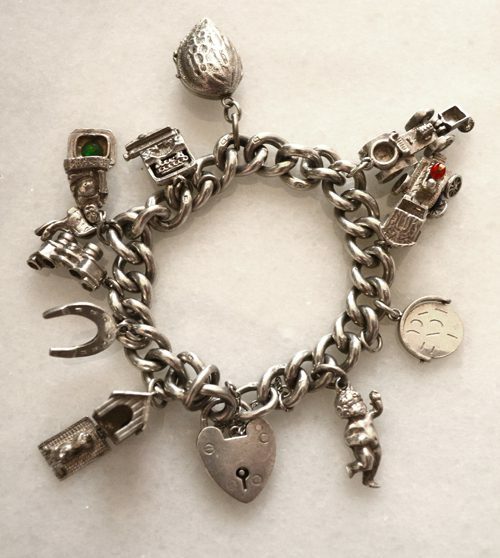 A vintage silver charm bracelet. Charm bracelets are made of chains, which support various personal charms or trinkets of significance to the wearer. Charm bracelets have been fashionable for many decades and worn by many famous women including Jacqueline Kennedy Onassis, Hillary Clinton, Elizabeth Taylor, Phyllis Diller, Lillian Disney, Marlene Dietrich, Grace Kelly, Lauren Bacall, Joan Crawford, Sophia Loren, Debbie Reynolds and Natalie Wood. Italian charm bracelets are a newer version of the traditional charm bracelet. 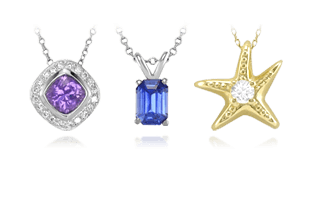 In Italian charm bracelets, the charms do not dangle, but instead they are made of individual pieces that are soldered flat onto the surface of a link. An Egyptian beaded bracelet from the 18th Dynasty. Photo from The Metropolitan Museum of Art. 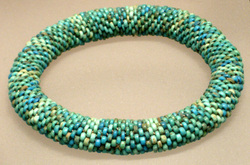 The most conspicuous bead bracelet is called a torsade , and it consists of multiple bead strands twisted together to form a sort of gemstone rope. Bead bracelets and torsades can be comfortable to wear, even when fitted closely to the wrist. 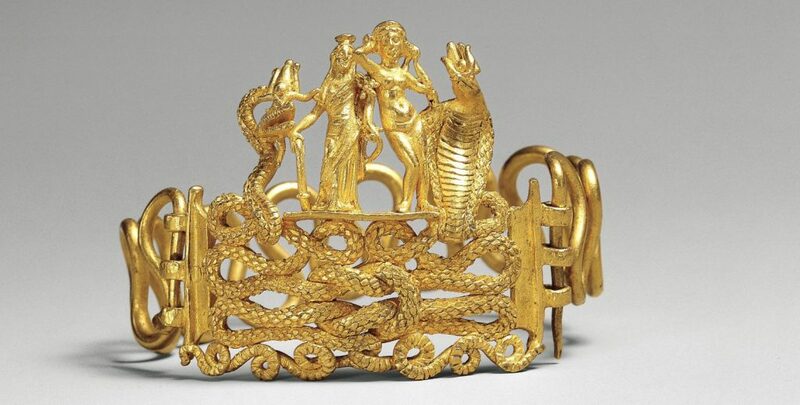 These styles have existed throughout time, and you can discover some interesting examples next on Famous Bracelets | A Selection of Bracelets from History.